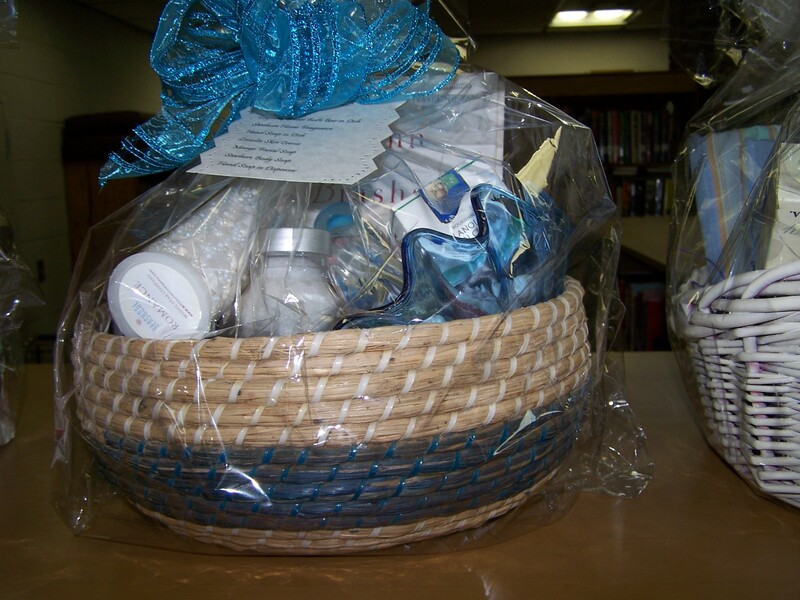 Friends’ member Winkie Stiles has been busy making beautiful baskets for the August 9 Silent Auction. She has completed 10 baskets so far, and has 4 more in process!! 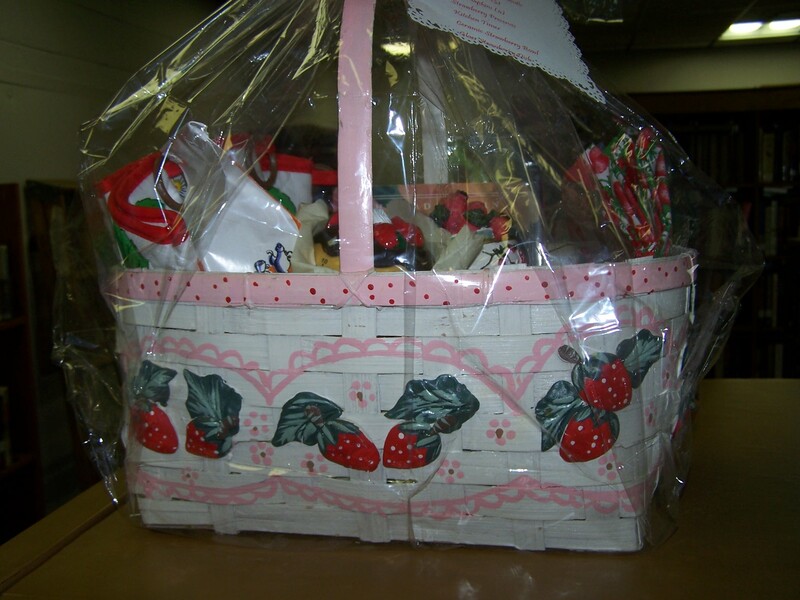 She fills each basket with donated items and purchases more to complete each to perfection. Also look for the ones volunteer Di Moumousis has made with the Russian dolls. 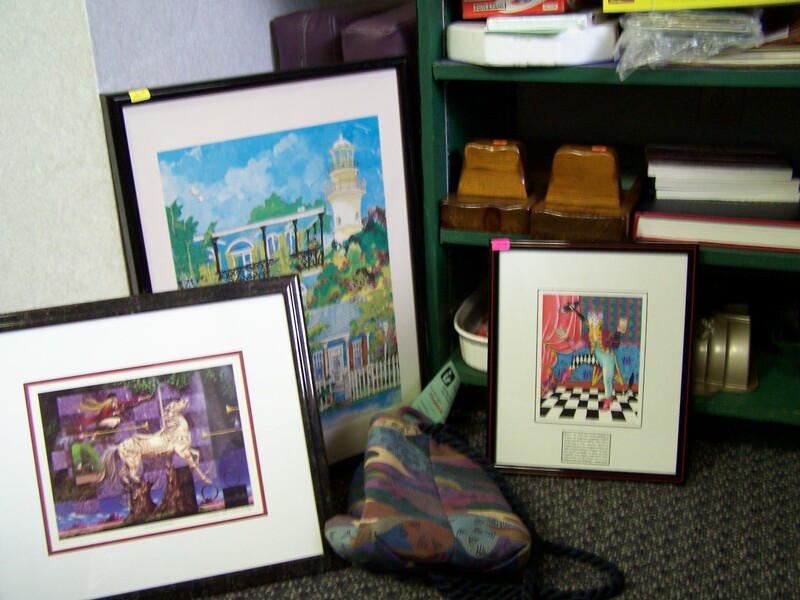 To see them all, make plans to come to the auction – Murphy Library, Friday, August 9 from 10 a.m. to 2 p.m. It will be worth your while, thanks to Winkie Stiles and her basket cohorts. And while you’re at the auction, walk back to the Cooking Supplies, Cookbook and Book Sale area – there are pretty things back there, too. Here are the Spelling Bee Challenge Words for the 2013-2014 Spelling Bee taking place on October 17, 2013 at Martins Creek School. Study these after you have mastered the Spelling Bee Study Words (See separate list of Spelling Bee Study Words 2013-2014). Murphy librarian Jeff Murphy often sees young visitors who have problems reading. He has found that audio books have been a lifesaver for some. “Sometimes we have a child who does not read well but has to read a book for school,” he says. When he gives them an audio version of the book, it not only helps them keep up in school, it gets them interested in reading. This is why funds raised at Friends of Murphy Library’s August 9 Silent Auction will be used to purchase audio books for young readers. The funds will also purchase audio books for adults, and foreign language audio books. The auction runs from 10 a.m. to 2 p.m.
Murphy librarian Jeff Murphy shows a few of the donations to Friends of Murphy Library’s Silent Auction on August 9 from 10 a.m. to 2 p.m. The Cooking Supplies, Cookbook and Book Sales run from 9 to 2. Call 837-2417 for details. 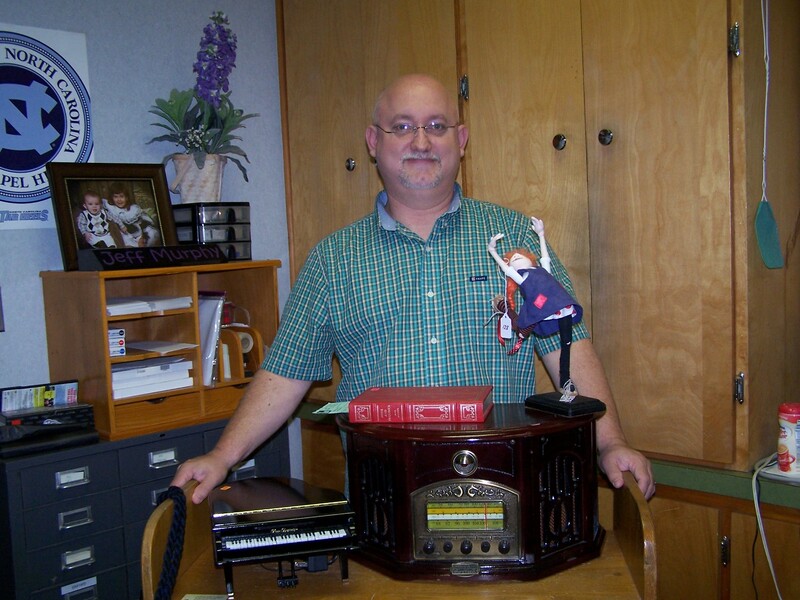 Among the auction items, Murphy showed off the music box piano, the antique-style radio, and the dancing doll by John Campbell Folk School teacher, Charlie Patricolo. 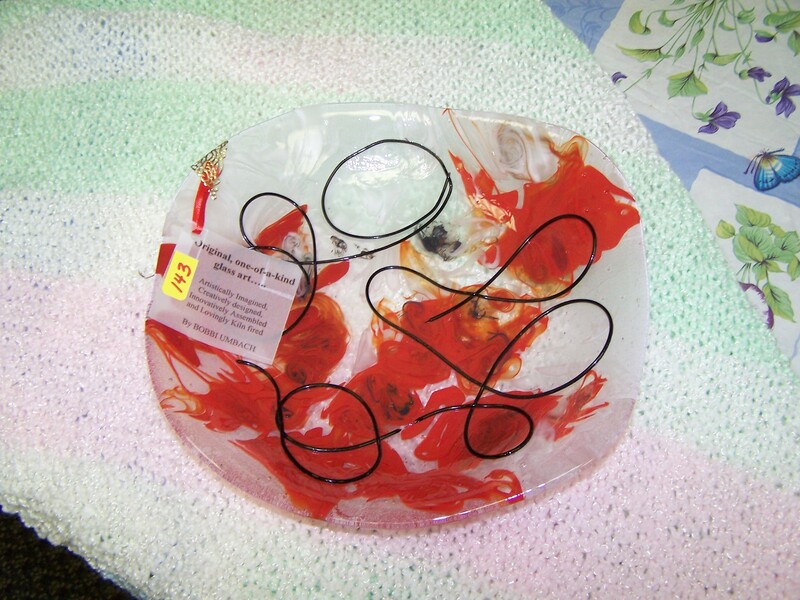 Glass artist Bobbi Umbach, another Folk School instructor has donated five exquisite glass plates. Donations for all the sales are welcome anytime. The Kitchen and Cooking Supplies, Cookbook, and Book Sales run from 9 to 2 the same day. Donations for both these events are welcome anytime. Gift baskets are always popular at Friends of Murphy Library’s silent auctions and on July 2, members of the Friends met to discuss the various baskets and the goodies to be included this year. 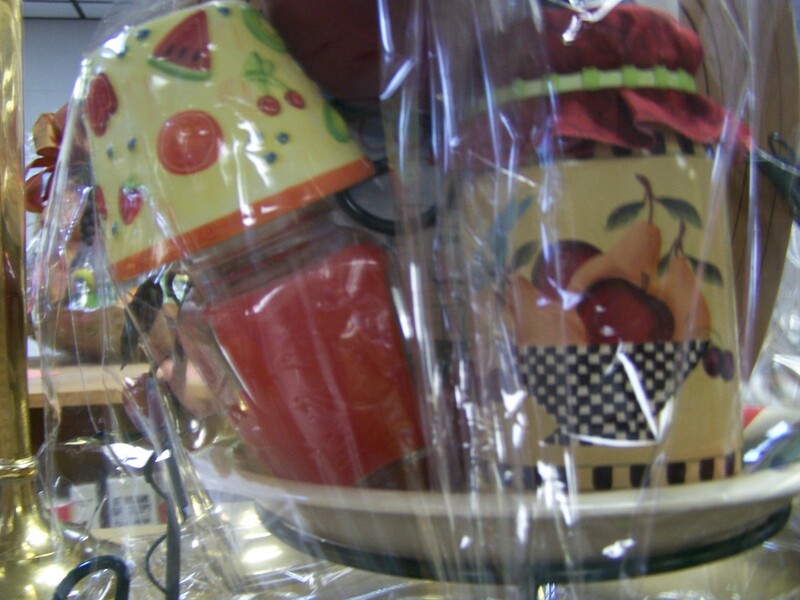 Everyone chose a theme, such as a basket of coffee items or one for tea. Another will hold apple products. For travelers, there are gifts from Mexico. And a golf basket will be waiting for the bidding to begin. 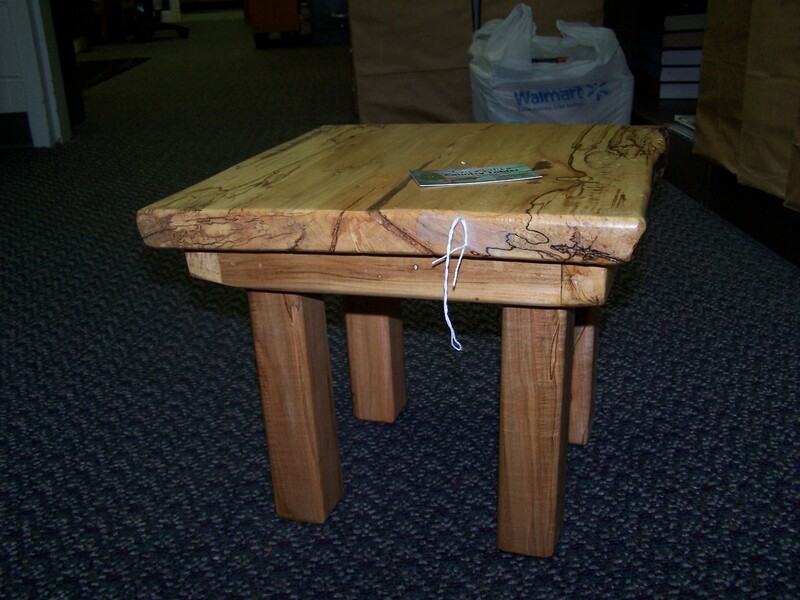 The Murphy Library’s Silent Auction fundraiser is scheduled for Friday, August 9th from 10 a.m. to 2 p.m in the library meeting room. There will also be a Kitchen/Cooking Supply & Cookbook Sale the same day from 9 a.m. to 2 p.m. in the breezeway at the rear of the library. Donations for these fundraisers to support the Murphy Public Library are appreciated and can be dropped off anytime. Call 837-2417 for details. 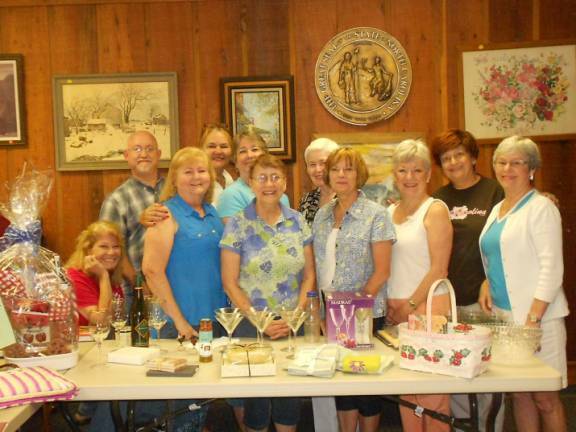 Friends of Murphy Public Library met recently to discuss themes for gift baskets to be included in the Friends’ Silent Auction on August 9, from 10 a.m. to 2 p.m. Auction volunteers include Karen Francis, Jeff Murphy, Winkie Stiles, Elo-ly Bailey, Jan Ruiz, Nora King, Carey Randall, Bonnie Allen, Donna Munizzi, Micki Singer and Connie Long (from left). Donations are welcome anytime. Alice is nineteen years old and a young man has just proposed. However she has misgivings about marrying him and ventures into a nearby garden to think when she spies a rabbit going down a hole. Soon she is revisiting the netherworld of her childhood and that includes the Mad Hatter. But now she is wiser and understands how to grow taller. That is, unless the Red Queen triumphs in wreaking havoc. As part of the summer reading program, the Murphy Library is showing director Tim Burton’s 2010 film, Alice in Wonderland, based on the Lewis Carroll novel starring Johnny Depp, Mia Wasikowska, Helena Bonham Carter and Anne Hathaway, this Thursday at 6 p.m. Running time is 108 minutes. The film is rated PG. Call 837-2417 for details. According to press accounts Stephen Fry, Alan Rickman, Barbara Windsor, Christopher Lee, Michael Gough, Imelda Staunton, and Jim Carter all recorded their dialogue in one day. They are the voices behind the animals and plants in Alice. Moreover, they are among the finest actors on the English stage and in cinema. After that single day, it’s easy to imagine them walking to a nearby pub and tossing down a pint of English bitter, toasting Alice, Lewis and Tim for creating a great story. Cheers!